Tulipa ‘Queensland’ has delicately fringed petals in a striking pinkish-white colour. They are double-flowering and look stunning as a cut flower, which is long-lasting in a vase and evokes a Spring-time atmosphere. 'Queensland' tulips grow well in pots or window-boxes. Make sure you use fresh potting compost and put a layer of gravel or hydro granules in the bottom. Place the bulbs in a hole that is 3 times as deep as the height of the bulbs. A 5 cm bulb should therefore be planted in a 15 cm hole. 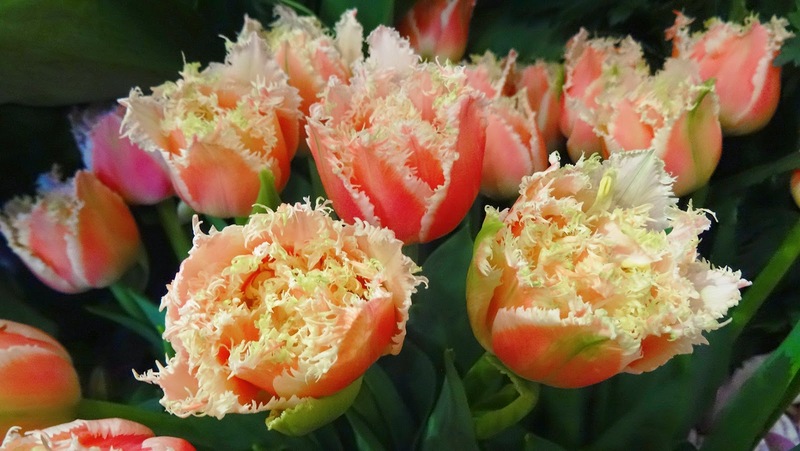 Planting distance between 'Queensland' tulips is about 6 cm. To protect the bulbs grown in a pot against frost, place the pot in a frost-free area or cover it with bubble wrap. Water during dry periods. 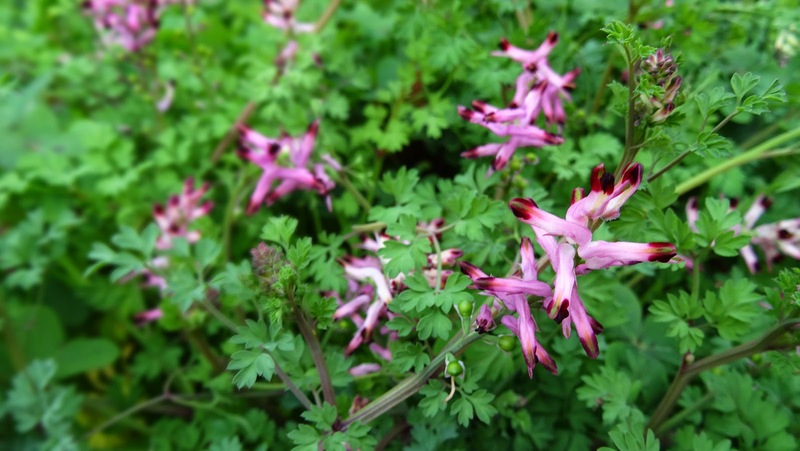 Fumaria officinalis (common fumitory or earth smoke) is the most common species of the genus Fumaria in Western and Central Europe. It is a herbaceous annual plant, which grows weakly erect and scrambling, with stalks about 10 to 50 cm long. Its pink 7 to 9 mm flowers appear from April to October in the northern hemisphere. They are two lipped and spurred, with sepals running a quarter the length of the petals. The fruit is an achene. It contains alkaloids, potassium salts, and tannins. It is also a major source of fumaric acid. The "smoky" or "fumy" origin of its name comes from the translucent color of its flowers, giving them the appearance of smoke or of hanging in smoke, and the slightly gray-blue haze color of its foliage, also resembling smoke coming from the ground, especially after morning dew. The plant was already called fūmus terrae (smoke of the earth) in the early 13th century, and two thousand years ago, Dioscorides wrote in De Materia Medica (Περὶ ὕλης ἰατρικῆς) and Pliny the Elder in Naturalis Historia that rubbing the eyes with the sap or latex of the plant causes tears, like acrid smoke (fūmus) does to the eyes. Its Greek name is kapnos (καπνός, for smoke) and the name fumewort now applies mostly to the genus Corydalis, especially the similar looking Corydalis solida (formerly Fumaria bulbosa), which was thought to belong to the same genus as fumitory. 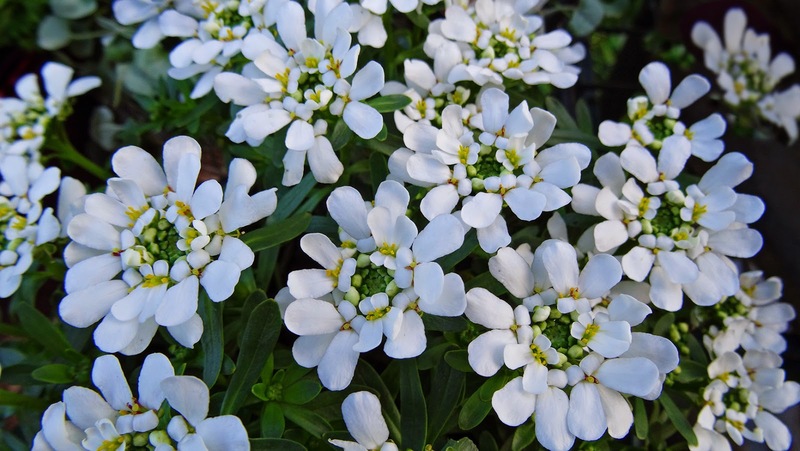 Iberis sempervirens (evergreen candytuft, perennial candytuft) is a species of flowering plant in the family Brassicaceae, native to southern Europe. It is a spreading subshrub growing to 30 cm high by 40 cm broad. As an ornamental plant it is a spring-blooming favourite, often seen cascading over rocks and walls, or used as groundcover. The glossy, evergreen foliage forms a billowing mound, with many fragrant, pure white flowers for several weeks during spring and early summer. When grown in a garden it may require light pruning right after blooming, but otherwise plants can be left alone in fall and early spring. It is drought-tolerant once established. It prefers a well-drained site, so heavy clay soils that stay wet in winter should be avoided. It is not easily divided. Iberis is so named because many members of the genus come from the Iberian Peninsula. Sempervirens means "always green", referring to the evergreen foliage. This plant and the cultivar 'Snowflake' have gained the Royal Horticultural Society's Award of Garden Merit. Hypericum perforatum, also known as St John's wort, is a flowering plant species of the genus Hypericum and a medicinal herb that is sold over-the-counter as a treatment for depression. Other names for it include Tipton's weed, rosin rose, goatweed, chase-devil, or Klamath weed. With qualifiers, St John's wort is used to refer to any species of the genus Hypericum. Therefore, H. perforatum is sometimes called common St John's wort or perforate St John's wort to differentiate it. Hypericum is classified in the family Hypericaceae, having previously been classified as Guttiferae or Clusiaceae. 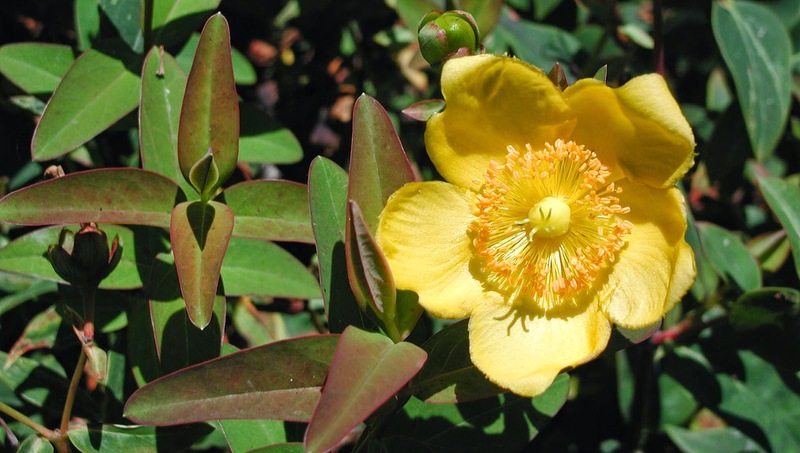 Approximately 370 species of the genus Hypericum exist worldwide with a native geographical distribution including temperate and subtropical regions of Europe, Turkey, Ukraine, Russia, Middle East, India, and China. St John's wort is a perennial plant with extensive, creeping rhizomes. Its stems are erect, branched in the upper section, and can grow to 1 m high. 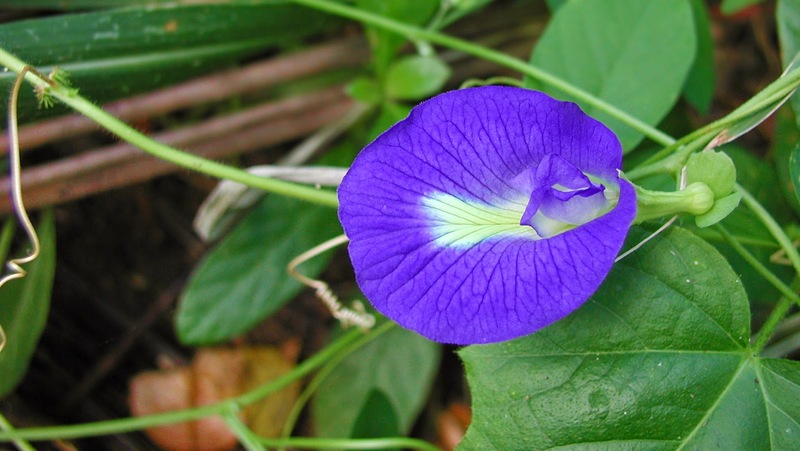 It has opposing, stalkless, narrow, oblong leaves that are 12 mm long or slightly larger. The leaves are yellow-green in colour, with transparent dots throughout the tissue and occasionally with a few black dots on the lower surface. Leaves exhibit obvious translucent dots when held up to the light, giving them a ‘perforated’ appearance, hence the plant's Latin name. Its flowers measure up to 2.5 cm across, have five petals, and are coloured bright yellow with conspicuous black dots. The flowers appear in broad cymes at the ends of the upper branches, between late spring and early to mid summer. The sepals are pointed, with glandular dots in the tissue. There are many stamens, which are united at the base into three bundles. The pollen grains are ellipsoidal. When flower buds (not the flowers themselves) or seed pods are crushed, a reddish/purple liquid is produced.